FreeCAD is a free open source 3D Modeling and Design Software for Windows, Mac and Linux. It is Parametric Modeling software so you can easily modify the design by going back into your model history and changing its parameters. It is released under LGPL License. It uses OpenCascade, CAD kernel, Coin3D, Qt and Python. It supports plugins to add extra functionality to the software. you can import and export to STEP, IGES, OBJ, STL, DXF, SVG, STL, DAE, IFC or OFF, NASTRAN, VRML and Fcstd file format. Some other features are Sketcher, Robot simulation, macro recording & editing, Drawing sheets and runs as a command line application. Installation of FreeCAD is a easy process. just open your terminal app and type the below command and hit the enter key. It will add FreeCAD PPA on your Ubuntu system. type your ubuntu password.And hit the Enter key. Then type the below command in terminal. After that run the below command and type Y to install FreeCAD on your Ubuntu system. 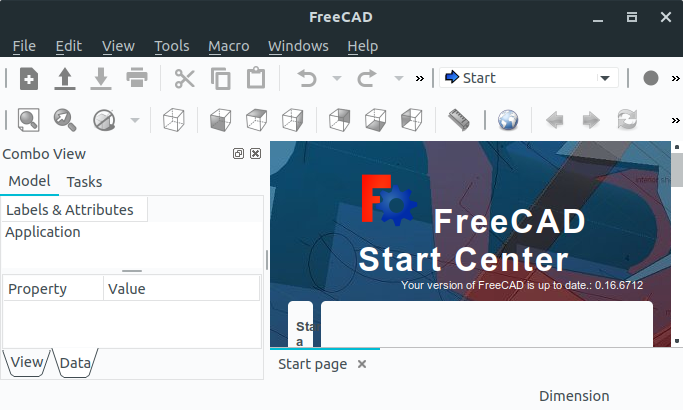 After the installation of FreeCAD, click the show applications in the Ubuntu Gnome dock and type FreeCAD in the search box and click FreeCAD to open it. For Unity you search FreeCAD from ubuntu dash. FreeCAD is also available as AppImage file, so you can also download install via AppImage from the below download link.